Picture it: Star Wars, 1977. Lines snaking around the block. Okay, well, that’s a little bit bigger than my book launch, but that’s the idea of it. 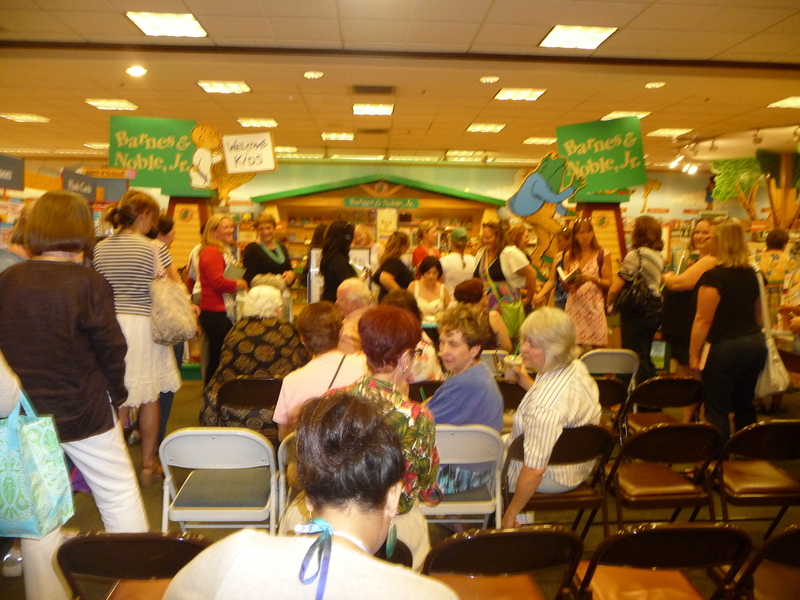 It was a standing-room only crowd at Barnes & Noble Grossmont (La Mesa), the biggest event they’d ever had. They sold out of books and the manager drove to another B&N to get more. 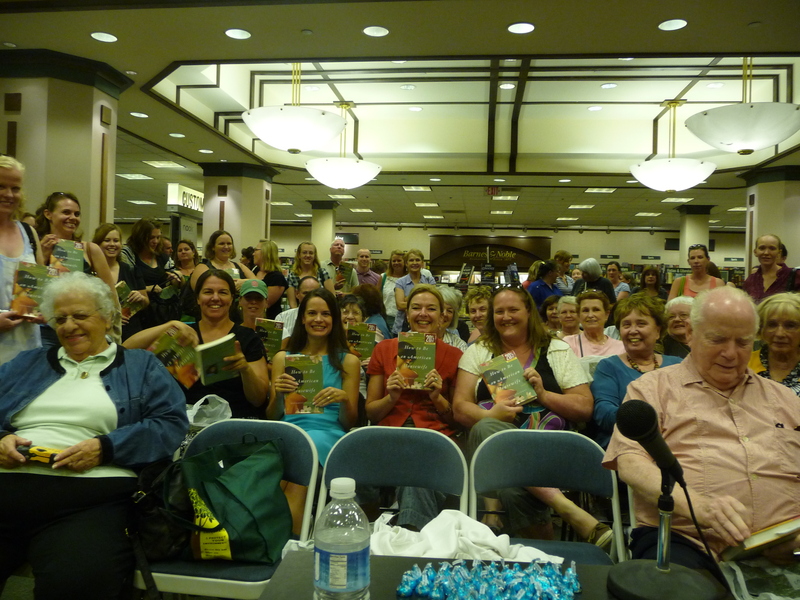 Everyone came: my first grade teacher, my 8th grade English teacher, the middle school librarian, my mom’s group, friends of friends…there were even people I had no affiliation with, who’d bought the book and saw I was coming. Even my friend Jen and her hubby came out…with their newborn…born the SATURDAY BEFORE. That is less than a week prior and they still made it out. I’m sorry, but their devotion trumps all other excuses. Now I will only accept loss of limb in the hour prior as an excuse. Nothing else. 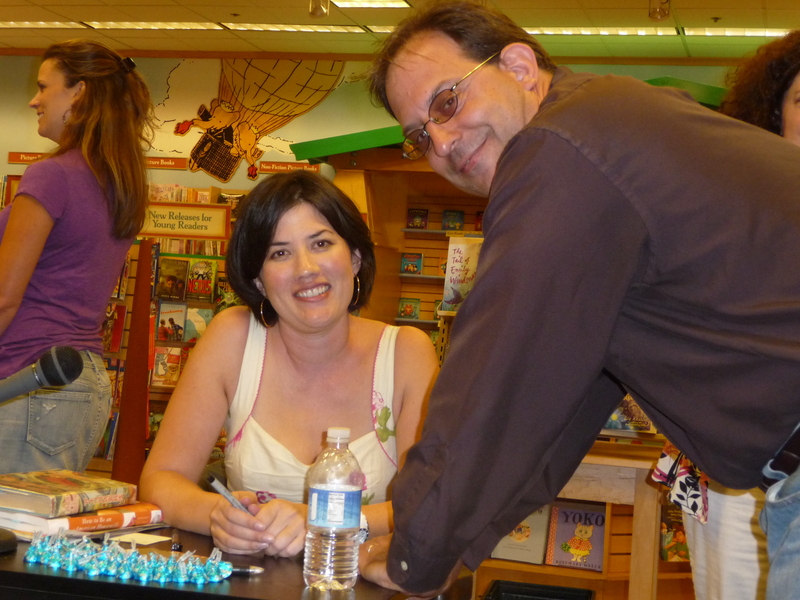 After my talk and reading, lines formed on either side of my table. When I was in school, I’d know who kids were just from the yearbook photos. 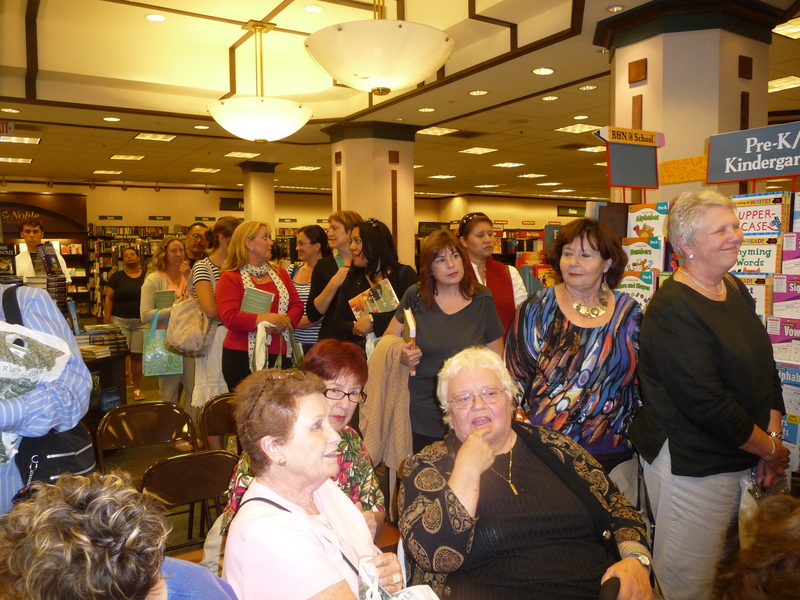 This kind of memory served me well at the book launch, as I remembered everyone from Facebook and what they were up to. Except for this one lady, whose name I completely blanked on. I remembered lots of other details about her (what she’s working on, her four kids, where she lives, etc. etc.) but her name came up blank. Oh well. Everyone said I spoke well, even this one lady who’s a friend of my mother-in-law’s and who is known for Speaking Her Mind. She is not a sugar-coater, this lady. If this lady says I did well, then I can trust that I did well. And I think I’m getting better about closing my eyes. 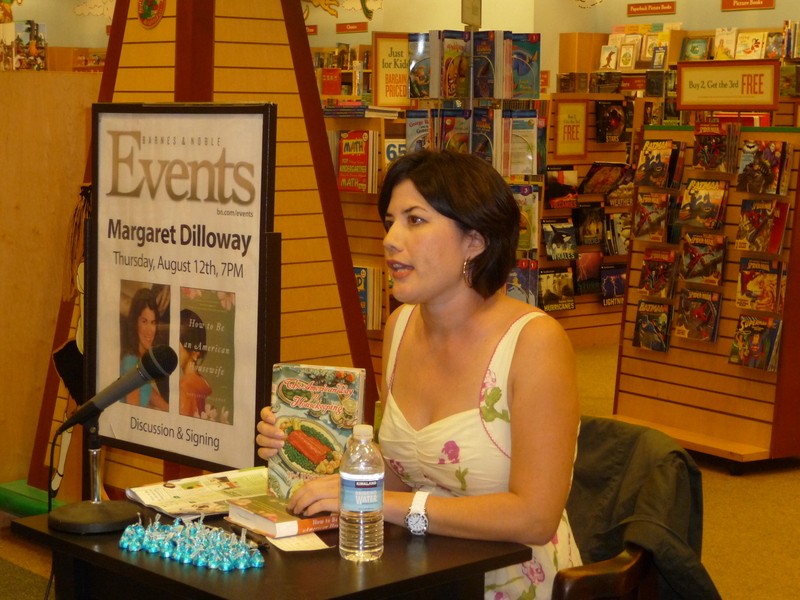 I’m glad your San Diego book launch was such a success! Can’t wait to hear more about it. It looks like you had a great turnout. Congratulations. I hope things continue to go well for you and your book. Margaret, I just finished reading your wonderful book. I enjoyed it so much, and it left me feeling that life is indeed good. Thank you for writing such an entertaining, heart-warming book. You don’t know me but my children went to Gage and Patrick Henry. My daughter, Emily Turner, was in class with your brother, Jason. 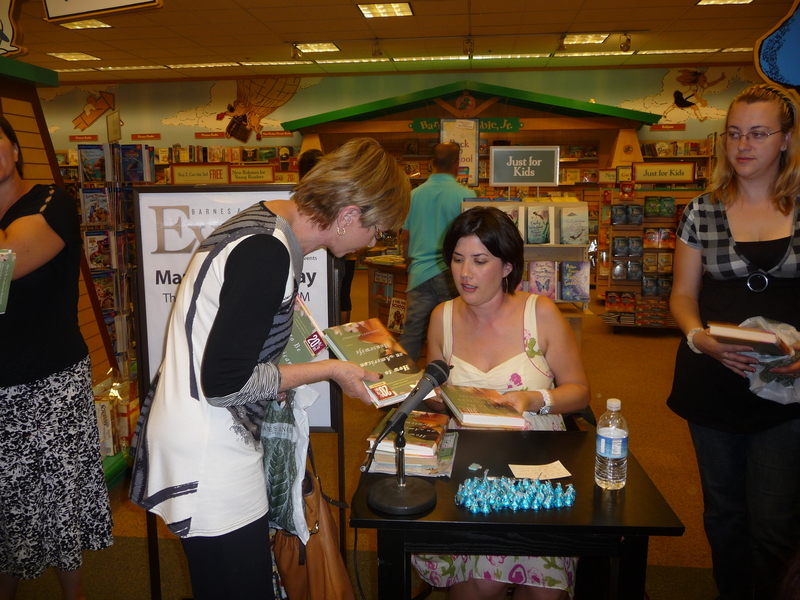 I enjoyed hearing the discussion you gave at Barnes and Noble, but didn’t stay for the book signing. Instead, I hurried home to begin reading. Thank you! I’m happy you enjoyed it, and thanks for coming to the event. My husband Keith also remembers Emily from some of his classes at Henry.